Overall course was very relevant and I achieved complete knowledge on Scrum. The training was very interactive. In a nutshell, it was an awesome learning experience! Mdina is a medieval city that functions on traditional culture and principles. In a city with such a strong culture and aesthetic values, Mdina is a perfect place to give your career a solid foundation and base. One such way is to pursue the CSD training in Mdina with KnowledgeHut. We aim to provide you a way to stand out in the crowd and give you the necessary boost to succeed in your professional life. In this 5-day long workshop you will trace the various facets of CSD certification in Mdina starting from the basics to practice sessions. The first day will begin with introductory lectures followed by material given to you by the tutor on the electives on the second day. On the third and fourth day, a demo on the technical track of CSD training in Mdina by the tutors is provided. The trainers of the institute are experts in coaching for the CSD course in Mdina through e-learning as well as hands-on classroom training. 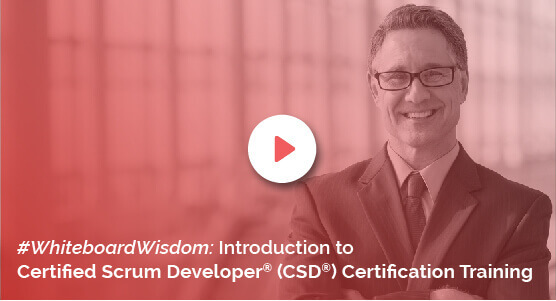 KnowledgeHut brings to you the Certified Scrum Developer certification in Mdina at a very reasonable fee structure which is inclusive of the Scrum Alliance Certification Examination fee and a 2-year membership with Scrum Alliance. When you enrol in the course now, you can avail numerous benefits like PDUs and SEUs upon completion training and 100 days free access to our Agile and Scrum e-learning programme. Our academy strives to provide the best Certified Scrum Developer training in Mdina at the least possible cost for you. We believe in providing quality practical experience for each trainee. Register now and become a part of the KnowledgeHut family.